Join the Band drum student Johnny (11), was featured drummer in a national Verizon commercial. Johnny has been taking drum lessons, at Join the Band for six years now. The guidance he has received from the teachers at Join the Band, helped him prepare for this opportunity. A big thank you, to all the music teachers at JTB that continue to give our students professional guidance. 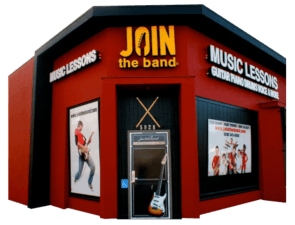 Check out our Drum Lesson programs.